SRK's Red Chillies Entertainments Pvt Ltd., is set to roll out four to five films and the Bollywood superstar says he won't act in them. Shah Rukh Khan‘s production banner Red Chillies Entertainments Pvt Ltd., which is reportedly targeting a 25 per cent annual business growth, is set to roll out four to five films and the Bollywood superstar says he won’t act in them. “We want to make four-five films without me. As a producer I would like to concentrate on the films and visual effects,” Shah Rukh told IANS in an interview. Red Chillies Entertainments Pvt Ltd. turned 12 this year. Shah Rukh Khan said the company would also make a couple of films with him in the lead. “We will make a couple with me and some with other actors. The office is working towards that. The office is concentrating on filmmaking because that is our forte,” he said. In 12 years, Red Chillies has made 12 films, including forthcoming heist drama “Happy New Year” (HNY) as well as last year’s blockbuster “Chennai Express”. The company broke even in 2012. The entire bouquet has a mix of hits like “Student of the Year”, “My Name Is Khan”, “Om Shanti Om”, “Main Hoon Na” and “Chalte Chalte” and misses “Ra.One”, “Billu”, “Paheli”, “Asoka”, and “Phir Bhi Dil Hai Hindustani”. “Raees” is being co-produced with Excel Entertainment. A still from Chalte Chalte. The output would be a mixed fair, said King Khan. “It’s a mix. We have some directors who have already worked with us. We have some new directors. Actors are being cast according to the directors,” he added. For instance, Karuna Badwal or Kareem Morani (producers at Red Chillies Entertainment), have ideas, which they should actuate. “Over 12 years when you have collected a set of creative people, producers, you need to give wings to them. And I think we are in a position now and hopefully, with ‘Happy New Year’ releasing, and if it does well, we will be in a position where we can try out different things,” said Shah Rukh. He also feels that as producers they have grown over the years in terms of technology, presentation, and marketing of the films. Happy New Year will reflect that as it has some “amazing stuff”, he adds. “Whether it is visual effect or technology that we have used in the sequences and fights, I think it has not been used before,” said Shah Rukh Khan. “What we learn in the last film, we try to make it perfect in the next film. So what we learned in ‘Ra.One’ and ‘Chennai Express’, we have tried to make it perfect in ‘Happy New Year’ and it will show results in one of the shots and it is as good as any international film can show you. That’s for me as a producer a biggest high, not the film, money or business. “I feel that the quality part of filmmaking, which we can control, should be of the highest order. We at Red Chillies are very clear about one thing: whatever aspect of technology we are offered, we are going to use it to the best advantage,” said SRK whose redchillies.vfx has done over 25 projects so far. 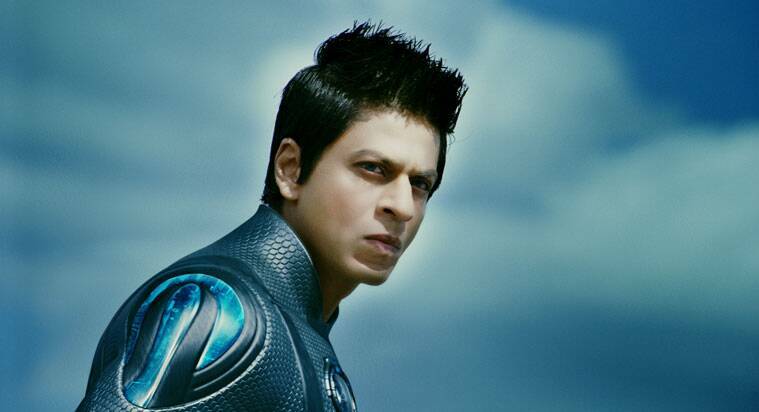 According to reports, film production and VFX are the two most important businesses of Red Chillies, together constituting almost 70 per cent of its revenues. The actor believes in recognising new talents and giving them wings. “I have always believed if you can’t recognise talent, you are not talented yourself. So I feel I have the capacity to be able to recognise new things and take a chance,” he said. 2 Salman Khan to put Sooraj Barjatya's 'Prem Ratan Dhan Payo' on hold?